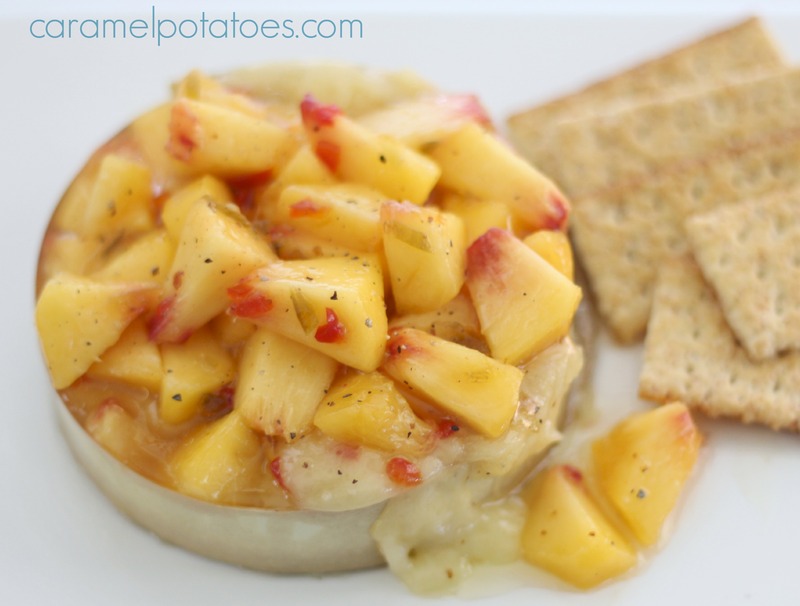 This baked brie couldn’t be easier to make and it is absolutely delicious. 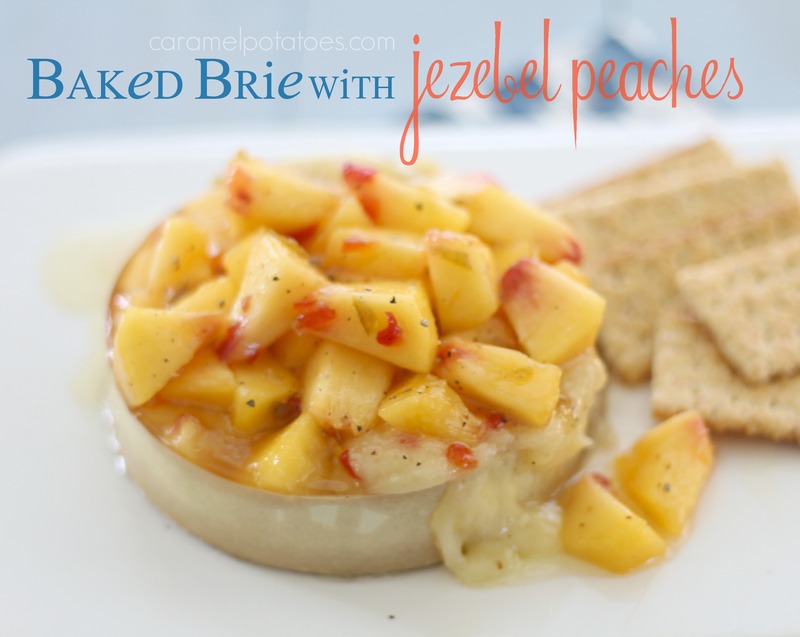 The fresh peaches with a little kick from pepper jelly are a perfect combination with the cheese. Serve it up as an easy and impressive appetizer. Preheat oven to 350°. Stir together first 4 ingredients; gently stir in peaches until coated. Unwrap Brie; trim and discard rind from top. Return cheese to wooden box bottom, and place box on a baking sheet. Bake at 350° for 10 minutes. Spoon peach mixture over Brie, mounding slightly. Bake 5 minutes or until cheese is melted. Carefully transfer box to a platter, and serve immediately with crackers.